Imagine this - Rows upon rows of fresh flowers. Tiers upon tiers of bold vibrant colors. You walk down the aisles until you get to red roses, the classic personification of love. Thousands of farm fresh red roses stand in buckets before you, Cupid's soldiers. You painstakingly comb over them as only the best will do. You have your dozen. They wrap your bouquet of love in classic flower market fashion, brown kraft paper and clear cellophane, and you carry them on your arm to their final destination. But - here you get to skip the combing over, because we do all the hard work for you. 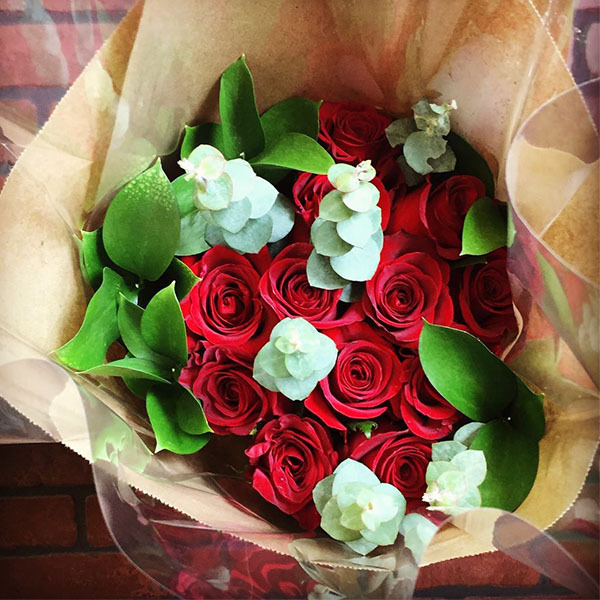 Let us deliver market style roses to your Valentine - guaranteed fresh - guaranteed to impress.